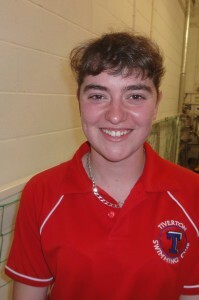 Lucy is the Head Coach of Tiverton Swimming club. She coached at the club for several years before being appointed as Head Coach. 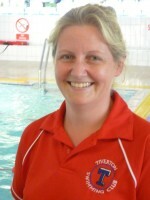 She is a Swim England qualified Senior Swimming Coach (Level 3). Lucy began swimming with Taunton swimming club before moving areas and joining Tiverton Swimming Club where she swam until she was 15. After a short break Lucy began swimming again whilst at Hull University with the university club. 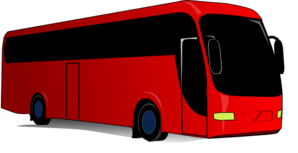 She became involved with Tiverton Swimming Club again through her daughter’s swimming. Outside of swimming Lucy has interests in several other sports including rowing and running and is a level 2 rowing coach and is an ITEC level 3 sports therapist. Lorna Burston - Coach Lorna has been swimming with the club since she was just three years old. Following on from school she qualified as a Lifeguard and is a Level 2 Swimming Teacher. She is also a qualified Baby and Pre-school swim teacher and would like to go on to being a Level 2 coach. Lorna leads the CSA squad and assists with the SD squad as well as running the Learn to Swim sessions on Friday evenings. Lorna stills swims for the club at team events.